I love kitchen tools and I love trying new things. 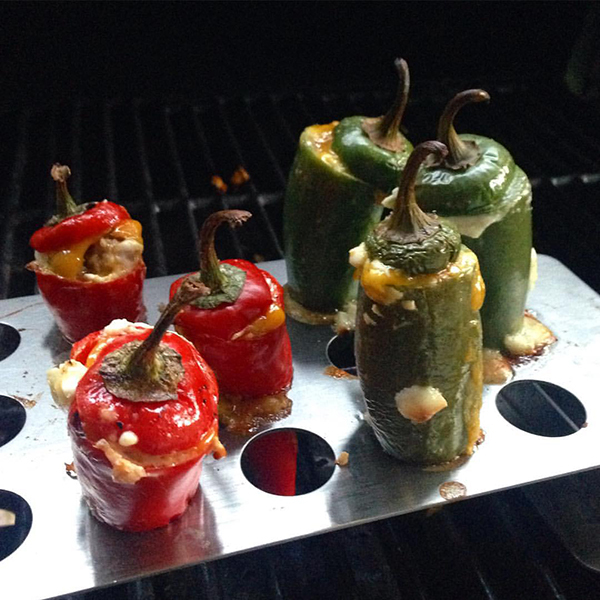 Thanks to a the gift of a Jalapeño Pepper Roaster from a very thoughtful friend, we tried our hand at "standing up" Jalapeño Poppers on the grill. This was timely as I am trying to make summer last by grilling outside as much as possible. There are lots of recipes online but I made up my own using ingredients I had in the fridge. We had pizza camp pies earlier so I had a few items leftover that were perfect. I stuffed each pepper with a little bit of each of the following. Then Aaron cooked them on the bbq grill for about half an hour. 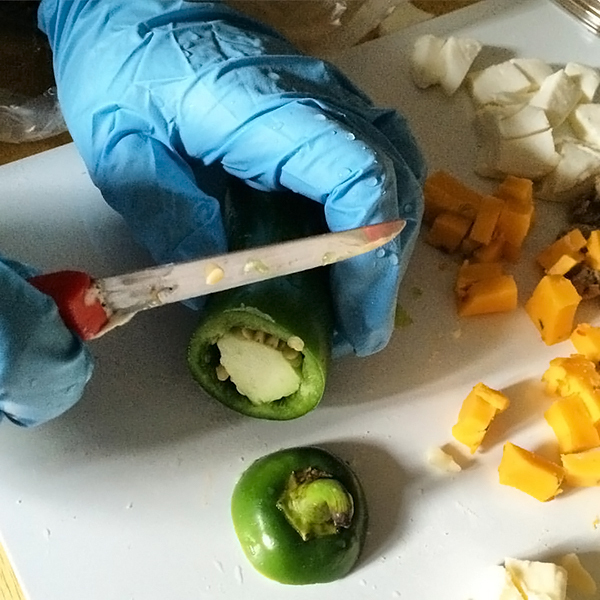 Note I wore gloves to handle the raw peppers. I've made the mistake of using my bare hands before and paid for it when I took my contacts out later that night. The peppers had a delightful grilled flavor while the cream cheese cooled down the heat. Nice for an appetizer or as we had them, along with a grilled steak. The roaster was really helpful, because it kept all the cheesy goodness from leaking out of the peppers!